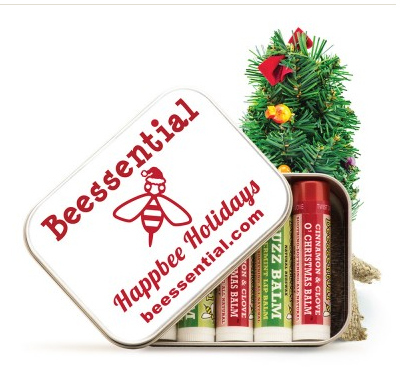 Looking for the perfect gift for the lady in your life? 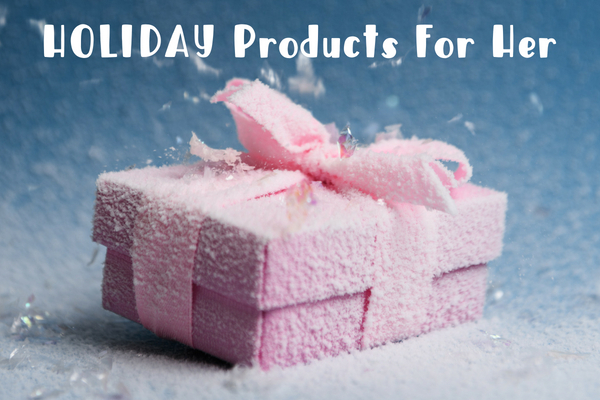 If so, check out our gift guide for women. We here at Kelly’s Thoughts on Things are working to bring you the coolest women’s products of the season. Just click on the images below, and it will take you straight the product page. The innovative LED magnifying tool that not only helps you read the menu, but it can also calculate both tips and splits for each member of your group. Easy to use for all, keep dinner in fun mode with a gadget that takes the stress out of paying the bill – plus it keeps your smartphone away from the table! Available on Amazon. 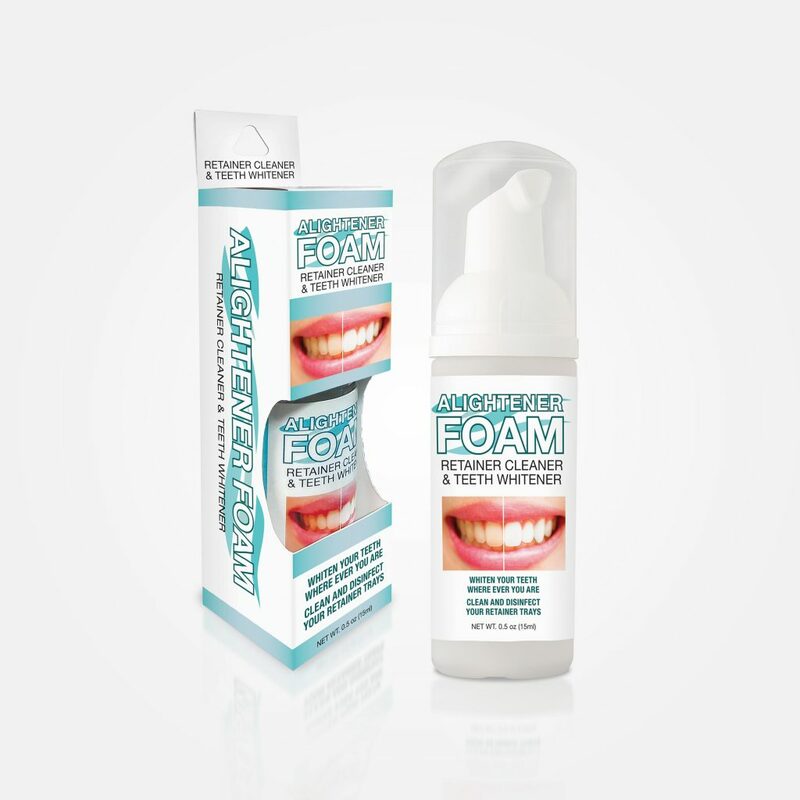 This product has appeared on The View, The Today Show, and QVC. If you ask yourself -What on earth should I get my friends for the holidays? Then this is the gift. Plus a unique product for parents over 55 and grandparents! 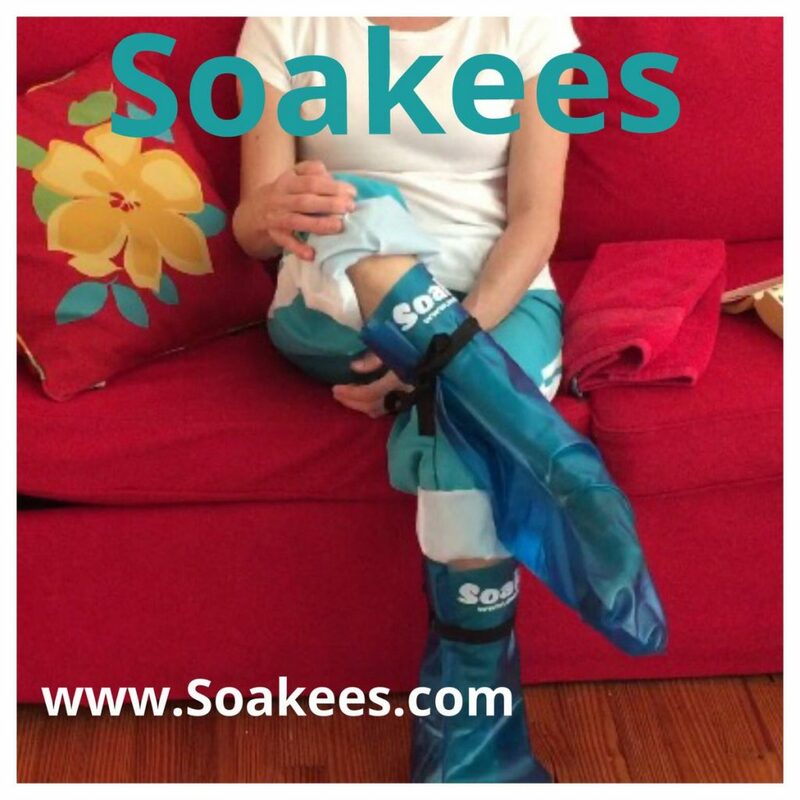 Soakees “Slip-On and Tie” Foot Bath Boots are endlessly reusable – simple to use – needs only 2-3 CUPS of water to be effective, fit feet from size 13 down to size 4, are lightweight and portable enough to use anywhere anytime and anyplace and immediately give the user the trifecta of foot pain relief, stress relief and the ahhhhh relaxing indulgence of soft pampered sweet smelling beautified feet – all in only 20 minutes – without ever having to pick up or use a heavy messy tub of water on the floor ever again! What an amazing gift to give for someone who loves wine. 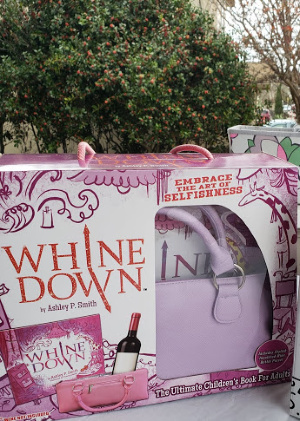 The book is funny and yes the purse fits a wine bottle. Must have for the MOMS! 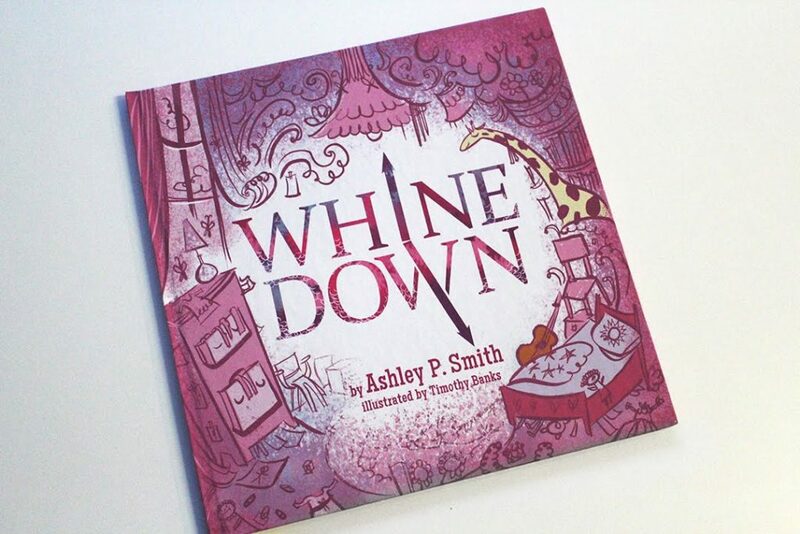 The Whine Down gift set is designed to humorously capture “the reality of parenting” because let’s face it; it’s not always sunshine and rainbows! Have a laugh when times get tough and be sure to make some time for yourself to Whine Down! 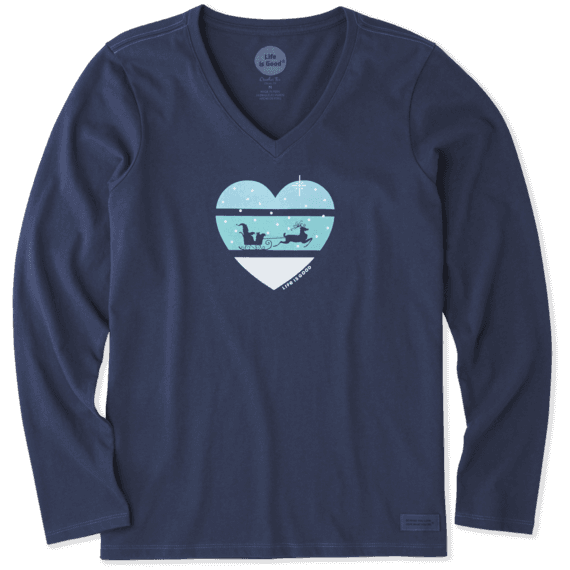 Life is Good has whimsical tees to the holiday-themed pajama sets, and even a few accessories, they have something for everyone on your list this year. In 1994 Life is Good t-shirts were developed to counter the negative news—and discovered how those three simple words could help people to focus on the good. Today, inspired by this growing community, Life is Good continues to spread the power of optimism and help kids in need. Get Shorter Straps Without Sewing! Extend the life of your favorite bras and bathing suits by tightening tired straps easily with The Strap Saver. Get a comfortable, custom fit on strappy dresses and tank tops without an expensive trip to the dry cleaner. 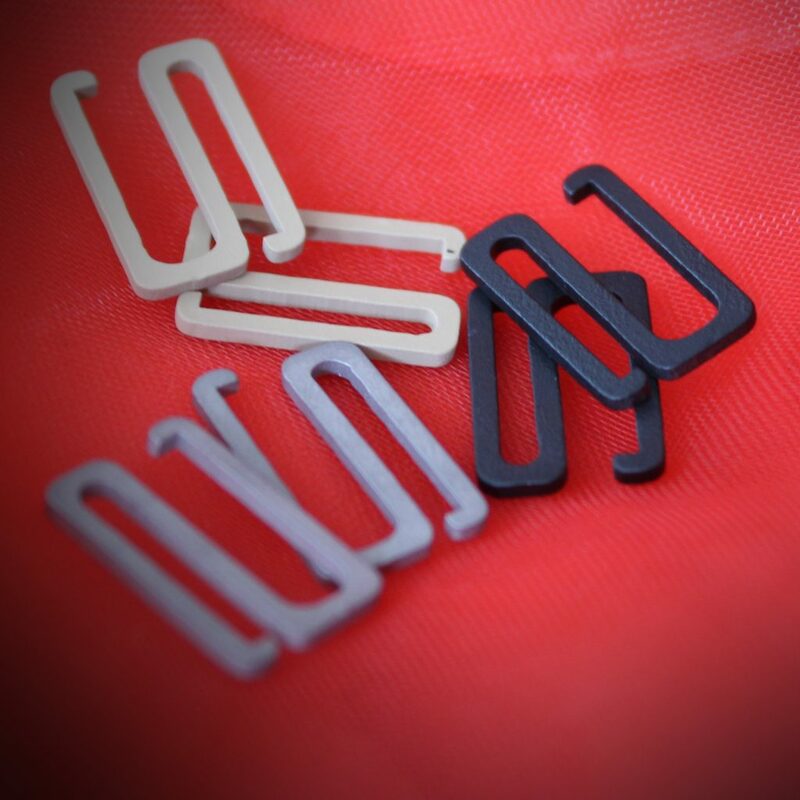 Shorten straps on-the-go while leaving them adjustable with this simple, little product. Yes, underwear has long been a popular holiday gift idea but what about underwear that truly honors the recipient with the privilege of pure luxury, underwear made from the finest fabric on earth, organic Pima. Marc Skid is the only underwear brand using the world’s finest cotton — organic Pima. Organic Pima represents only .0005% of all cotton harvested in a given year. Additionally, Marc Skid is the only brand using Repreve, which is polyester up-cycled from water bottles. There is one water bottle in each waistband. For every purchase: $4 goes to charity with each pair purchased. The consumer chooses from one of the nine 4-star charities working to Save, Feed, or Cure the World. I have to say these are my favorite pair of underwear of all time. 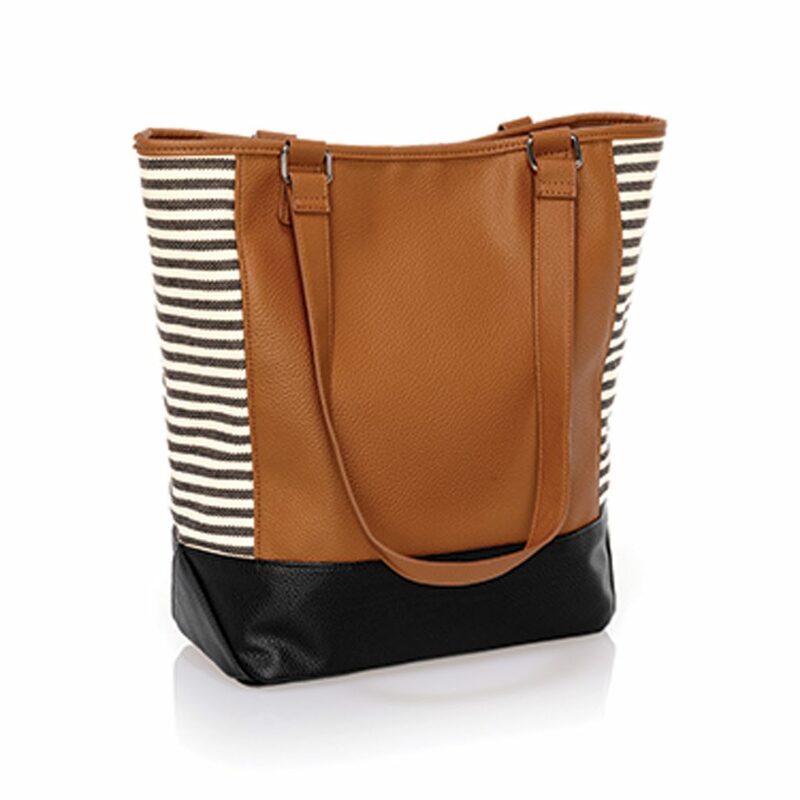 Durable, colorful, comfy and great fit. They also sell mens too. The holiday season is upon us so why not suggest a gift that will echo the beautiful gesture of giving well beyond the recipient. A gift that the giver and receiver will both take pride in because of the Marc both have Made on the World. CIREM Cosmetics is an American pharmacist-made ultra-premium skincare line that rivals the top 5 most-coveted European triple hundred-dollar beauty creams. Because a pharmacist’s only raison d’etre is to successfully deliver actives into the body, Cirem features all the uber-luxury ingredients from diamond dust to caviar, Vitamin C and retinol to Hyaluronic acid but makes them truly bioavailable (and affordable) for the first time. 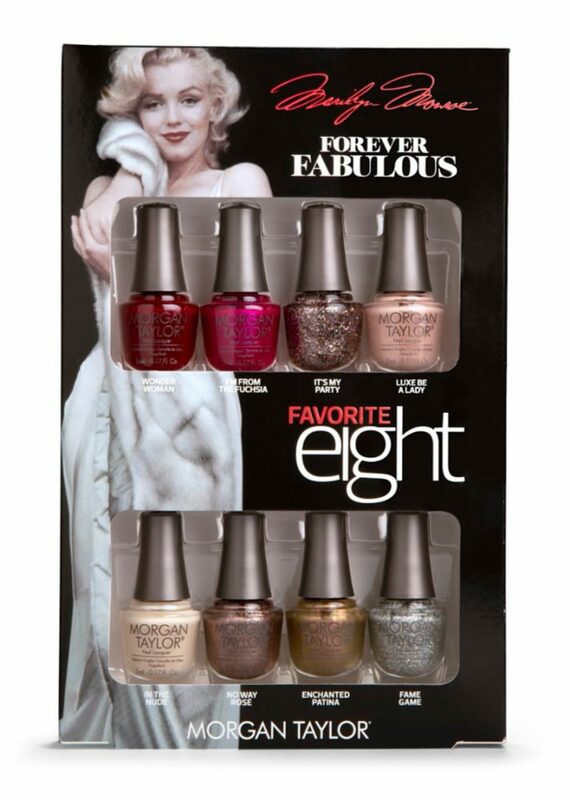 Every woman loves beauty products, especially the ones that help with aging and looking their best. 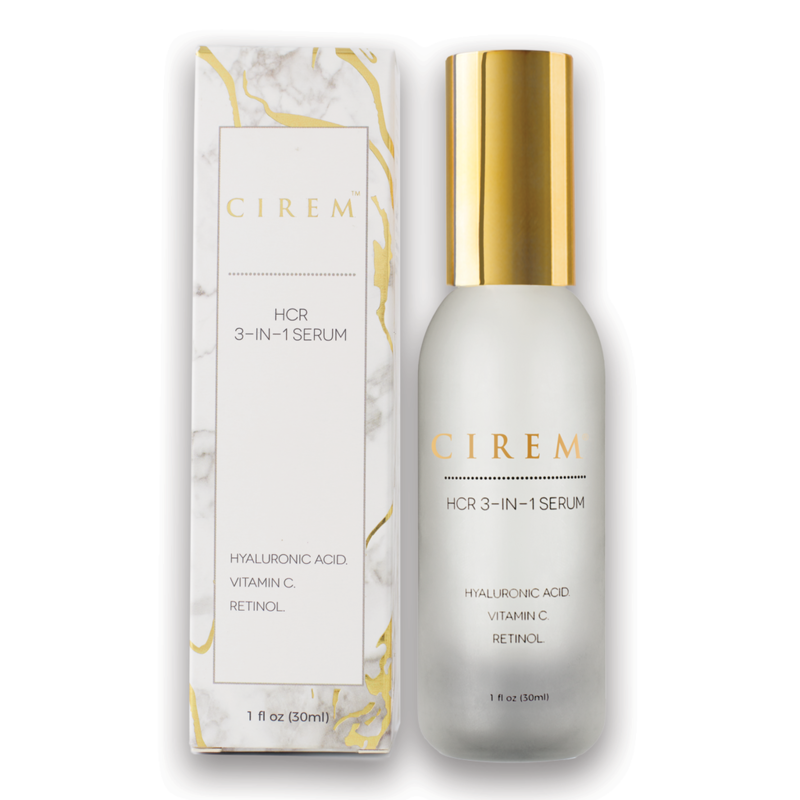 Cirem HCR 3-IN-1 Serum ingeniously combines the timeless trifecta for goddess-gorgeous, glowing skin! Hyaluronic Acid “plumps”, perfects, preserves, and protects the skin, creating a more contoured, lifted, and sculpted appearance. 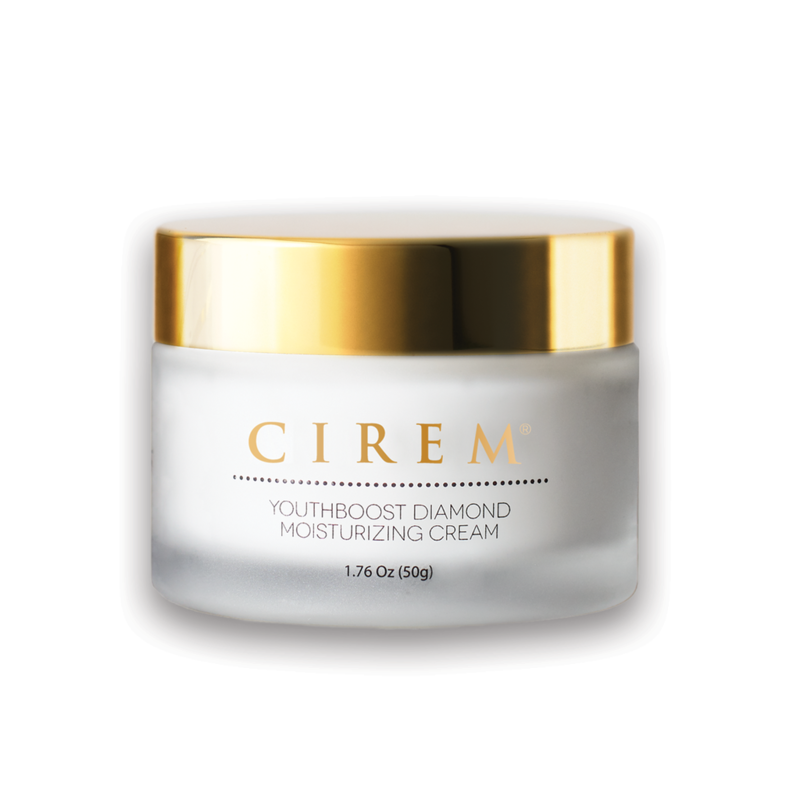 Cirem YouthBoost Diamond Moisturizing Cream is like the “Fountain of Youth” in a jar! Pamper and prettify your best beauty asset with this ultra-rich, luxurious dream cream infused with real Diamond Dust to brighten and blur imperfections, while nourishing, fatty acid-enriched Caviar Extract delivers much-needed anti-aging nutrients deep into the skin. The Swiss Army Knife of your Hair and Beauty Routine, Wrapperoo is a t-shirt hair drying towel that transforms into water, heat & spill resistant styling cape. The easy towel to cape transformation means wet hair never touches your skin or clothes and you’re protected from the drips, products, serums, powders, and mess of your hair & beauty routine. Perfect gift for TEENS! Girls are always playing, changing, and creating new styles with their hair so the Wrapperroo is perfect for anyone who loves to work with hair and makeup. No more towels! 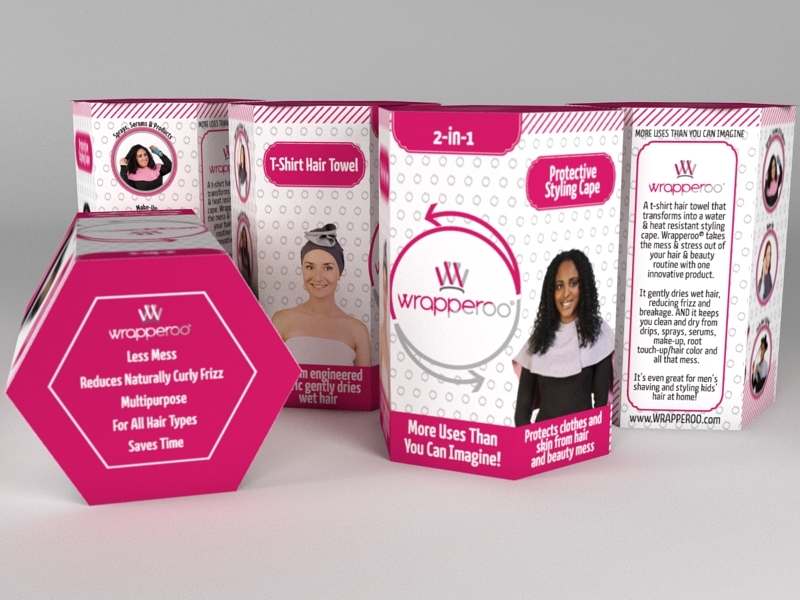 Wrapperoo is a T-Shirt Hair Drying Towel that doubles as an at-home Salon Cape. It takes the mess & stress out of our hair & beauty routines. With more uses than you can imagine, you’ll be able to do everything from a mess-free make-up application to drying to your hair with less frizz. 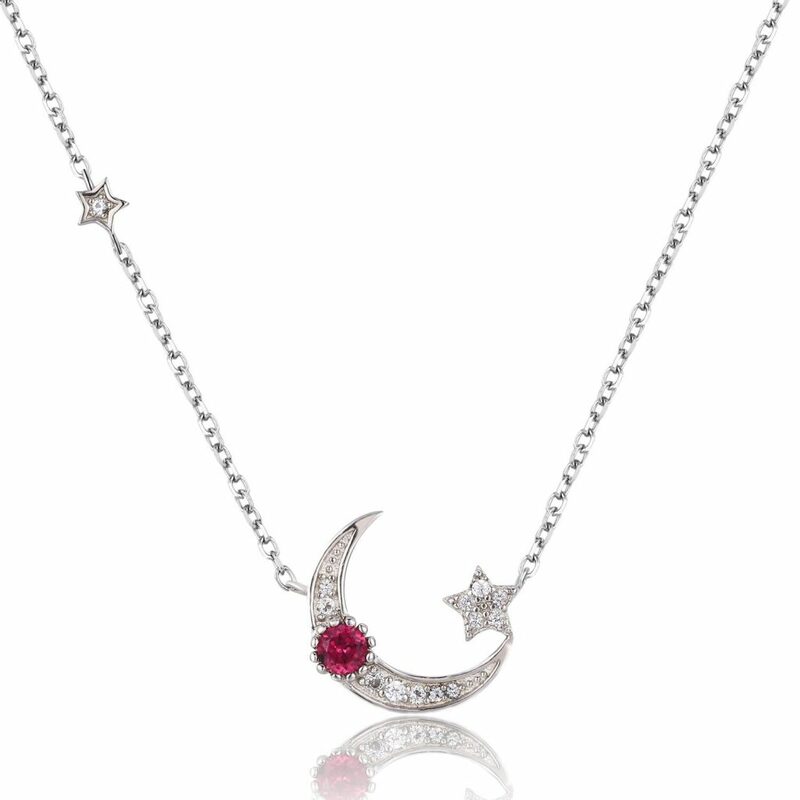 Crescent Moon and Star Necklace is inspired by the peaceful night sky. It is made of sterling silver featuring a crescent moon with a star. The stones are natural rhodonite and white topaz. Rhodonite is an extraordinary stone of the Heart Chakra, it empowers one to reach one’s full potential, focusing one’s gifts and energies outward for the betterment of all. It is a stone of purpose, cooperation, and generosity of spirit. White topaz carries the energy of love and truth, it helps people to substitute negativity with love, peace, and joy. The base metal is 925 Sterling Silver (perfect for those with skin allergies to other metals). The silver is then gold-plated with a thick white gold coating (which is 50% thicker than a traditional gold-plated piece) to prevent tarnish. All of the jewelry is gift wrapped. Azura Jewelry is created for the confident and fearless woman with a growth mindset, empowering them to create positive changes in their lives and for those around them. 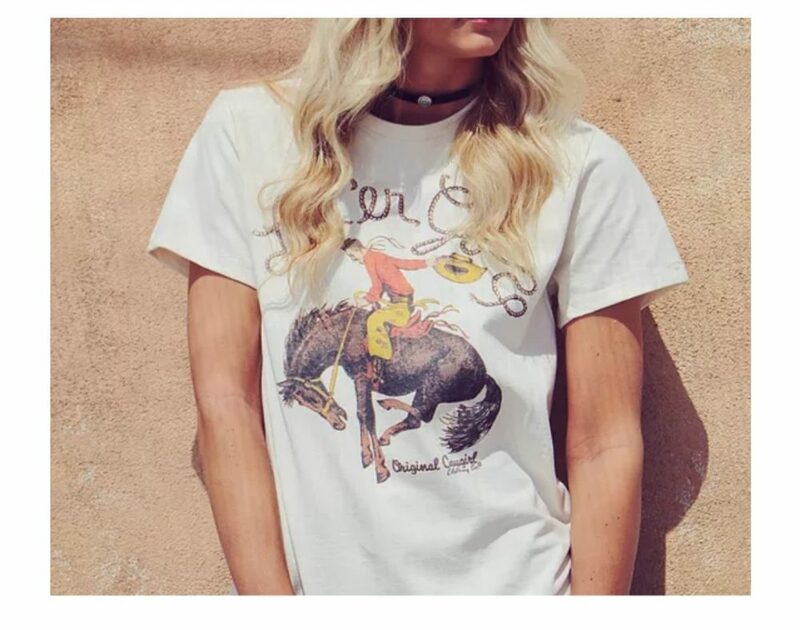 Original Cowgirl® shirt is hand prepped, loaded, printed, finished, and tagged in Southern, California. 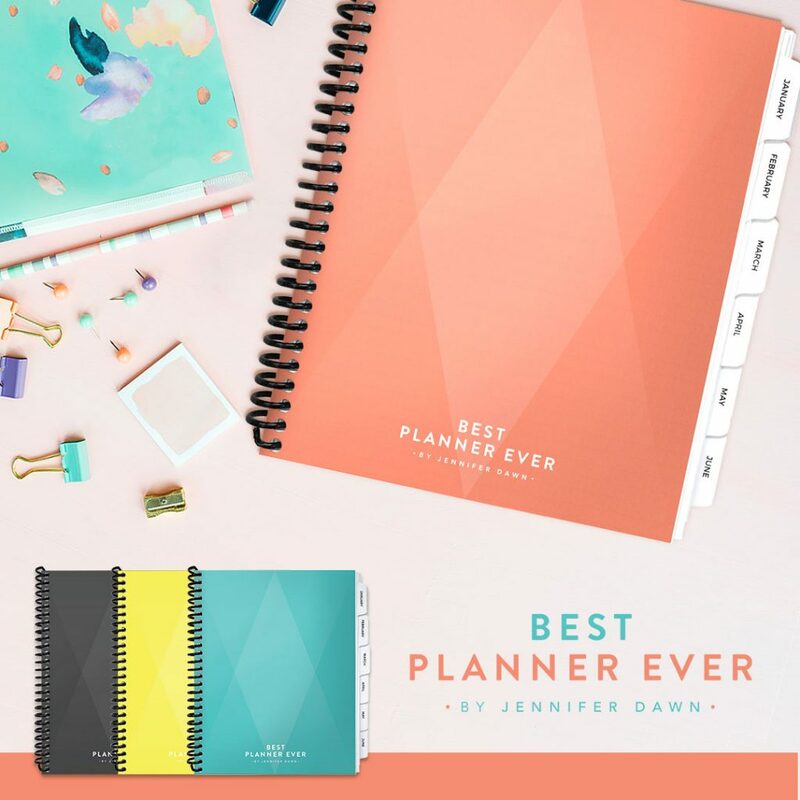 TodayTix teamed up with real-life girl boss Teale Dvornik, aka The Backstage Blonde, to offer a collection of apparel and accessories. This limited-edition collection is fierce, feminist, and a celebration of strength both on and off stage. Teale, a Broadway dresser and blogger, created The Backstage Blonde to chronicle her adventures backstage and beyond. Make sure to follow her at @Thebackstageblonde. 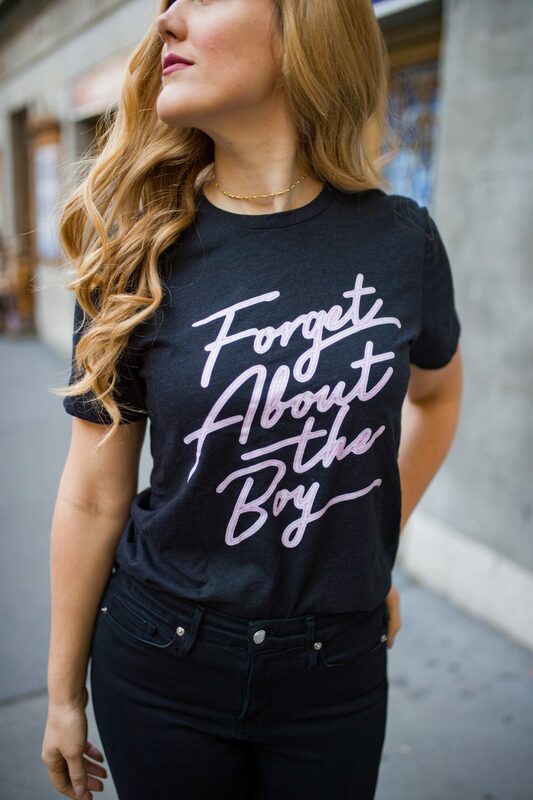 Whether you want to shout out the strong female lead in your life or help your friend “forget about the boy” before the holidays, the new TodayTix x The Backstage Blonde apparel collection has the perfect gift to show off your inner empowerment with your #OOTD. The Peace Doves limited edition infuser makes a great gift! 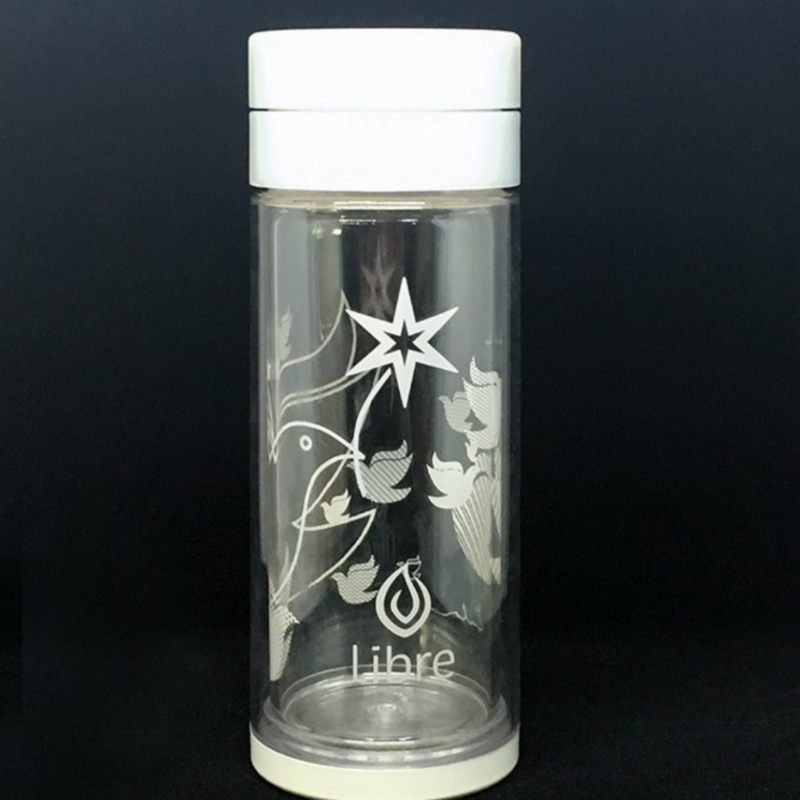 This simple and elegant infuser features the same clean glass interior, durable BPA-free poly exterior and removable stainless steel filter as all our models, and can be used for all beverages, hot and cold. Perfect for the tea drinker. Women, especially Moms, love personalized gifts and many of them love jewelry too! The AJ’s Collection line of beautifully hand finished, sterling silver necklaces and charms will fulfill both desires for the ladies in your life. 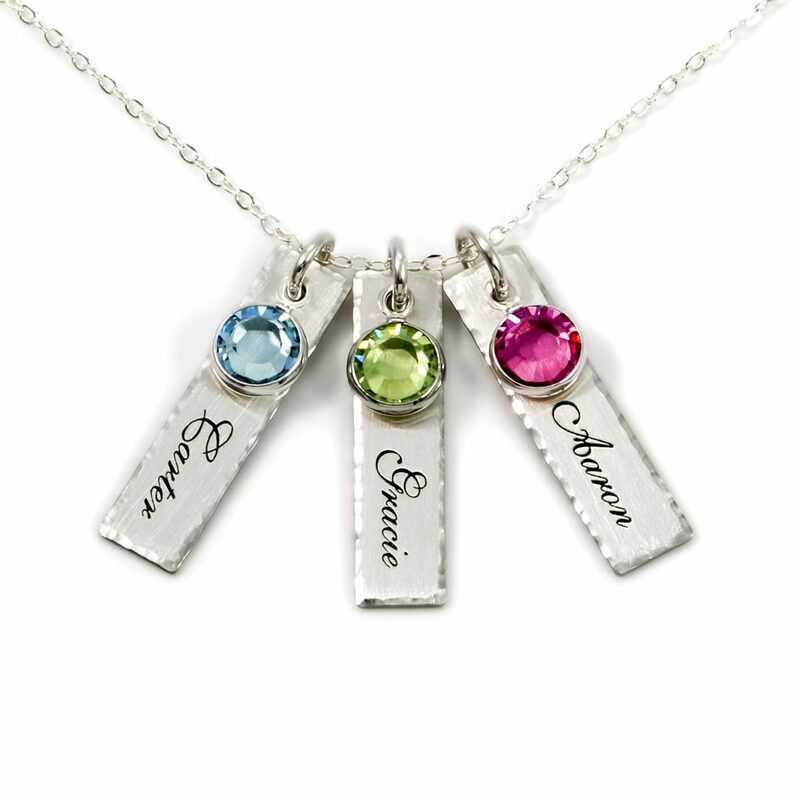 Each charm they offer can be customized with the names of loved ones or even the recipient’s own name. Choose from more than 100 different charm patterns and designs that are sure to touch the heart of the woman who receives them. Swarovski birthstones can be added as well. These unique necklaces are made in the USA with quick turnaround and delivery. 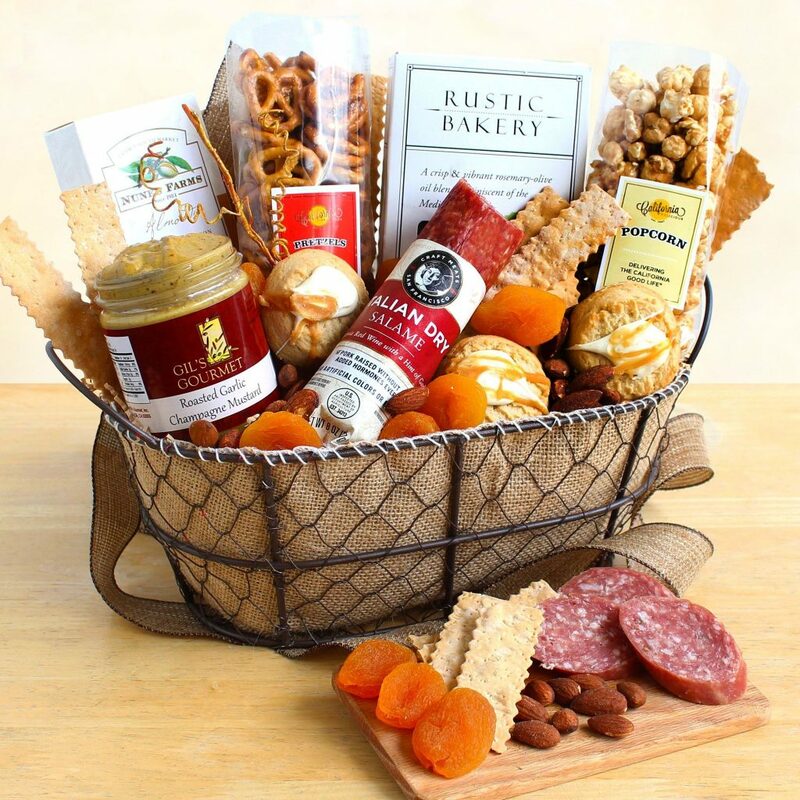 The perfect customized gift for Moms, Grandmas, and women of all walks of life! Ultra-luxe 100% medical-grade silicone gel pad reduces the appearance of exciting wrinkles and prevents new wrinkles from forming. 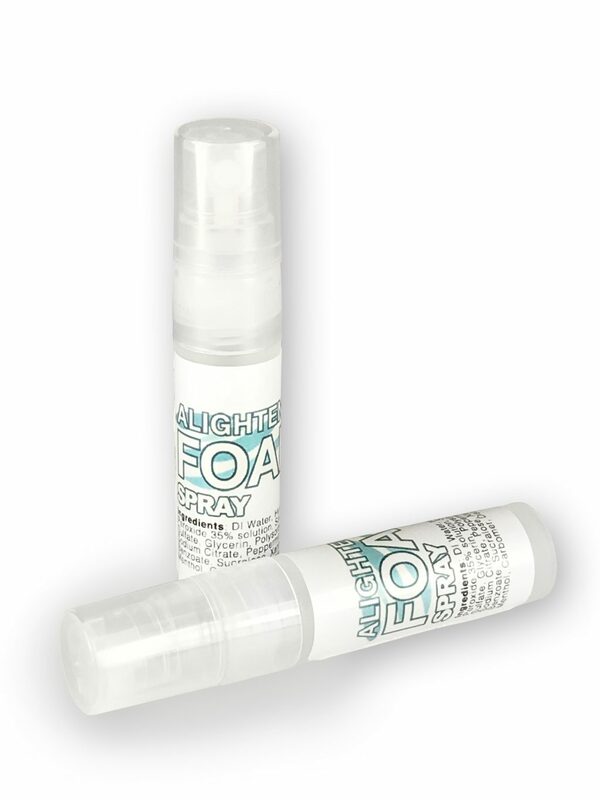 Smooth away wrinkles while you sleep! Reduce the appearance of fine lines and wrinkles caused by aging, sun damage and side-sleeping with The Kami Pad for the forehead. The forehead pad also improves skin texture, boosts collagen production and hydrates the skin. 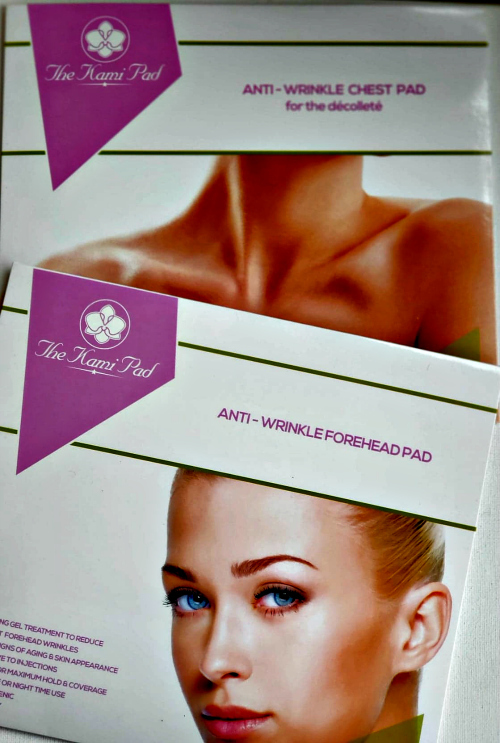 Our forehead pads are larger than other pads on the market for maximum coverage that conforms to all body types. The chest pad also improves skin texture, boosts collagen production and hydrates the skin. Our chest pads are the largest pads on the market for maximum coverage that conforms to all body types, and we use the latest adhesive technology so you can reuse your pad several times with proper care. 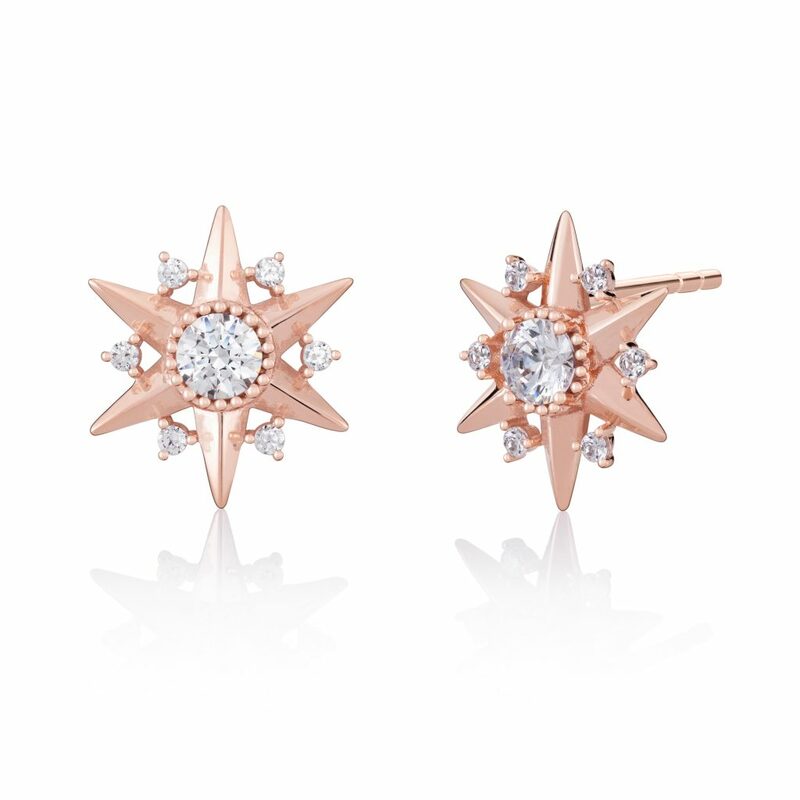 These ball studs feature dainty open-work hearts. Chamilia is about Love. Milestones. Passions. Relationships. Inspiration. These are the subjects that inspire our assortment of charms, beads, bracelets, rings, necklaces, and earrings. Whether in search of romantic sentiment, a family motif, a symbol for a favorite animal or hobby, or a token to congratulate or motivate, our designs inspire creativity and self-expression. Find countless ways to personalize your jewelry and tell a story that is yours alone. 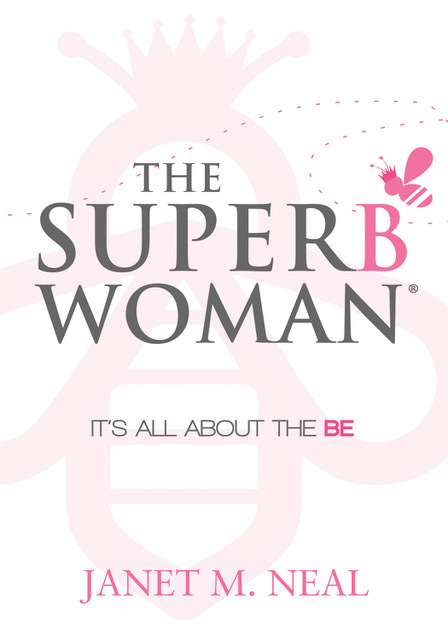 THE SUPERB WOMAN: It’s All About the BE, by Janet M. Neal, is for stressed-out women who are looking for ways to keep it together in a fast-moving world. An empowering story, the book cleverly examines ways women can gain strength, confidence and feel comfortable in their own skin. Through this uplifting tale, THE SUPERB WOMAN offers readers strategies and mindsets that will help them re-energize their innate inner power and release the need to be a superwoman. Neal’s thoughtful examination of issues affecting women’s self- esteem and personal authority is sure to enhance the lives of women of all ages. 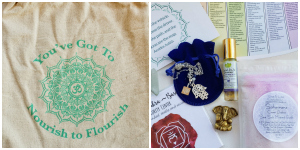 The BuddhiBox is a monthly soul care package filled with a curated assortment of unique yoga and mindful products. Designed with the yogi lifestyle in mind, each box contains ethically sourced, made in the USA, cruelty-free products that embody the yoga principles of compassion, community and discovery and a portion of its proceeds are donated to a different charity every month. Price – $34.95/ month plus $5 shipping. 3 & 6-month gift subscriptions are offered at a discount. As a special hot yoga mat, Synergy combines the best of both worlds all wrapped in one unique yoga mat. 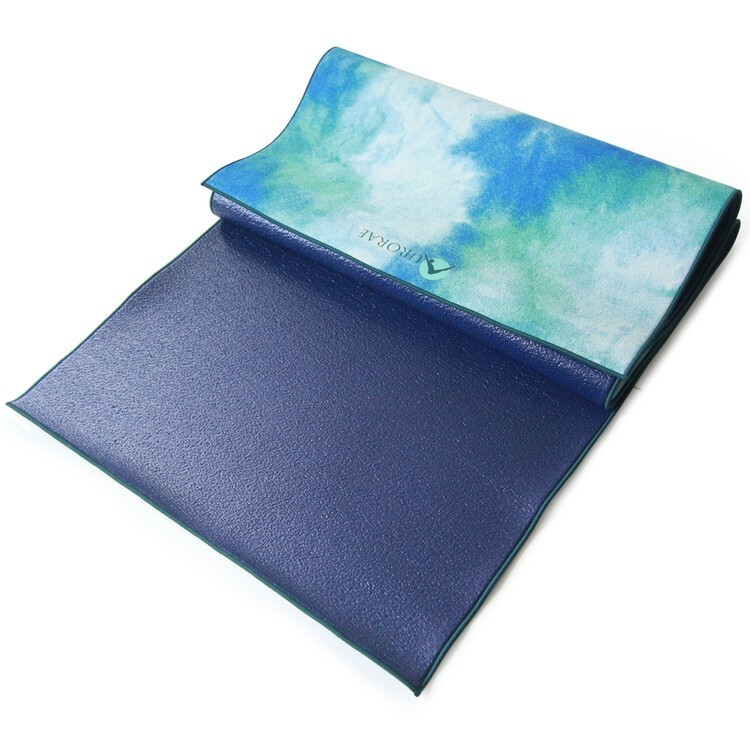 This unique super deluxe non-slip hot yoga mat-towel bonds our 5mm PER yoga mat with our lush, ultra absorbent non-slip microfiber towel to create a 72” long by 24” wide mat specifically designed with hot yoga in mind. With this hot yoga mat, the more you perspire on your hands and feet, the better grip you will have on your mat. Aurorae’s hot yoga mats are available in five soothing colors. This just-on-the-market Elle Bomber Jacket from Medical Scrubs Collection is going to be seriously hot this season! This is simply the latest in fashion jackets, with its athleisure style, complete with sporty black & white lines around the neck. 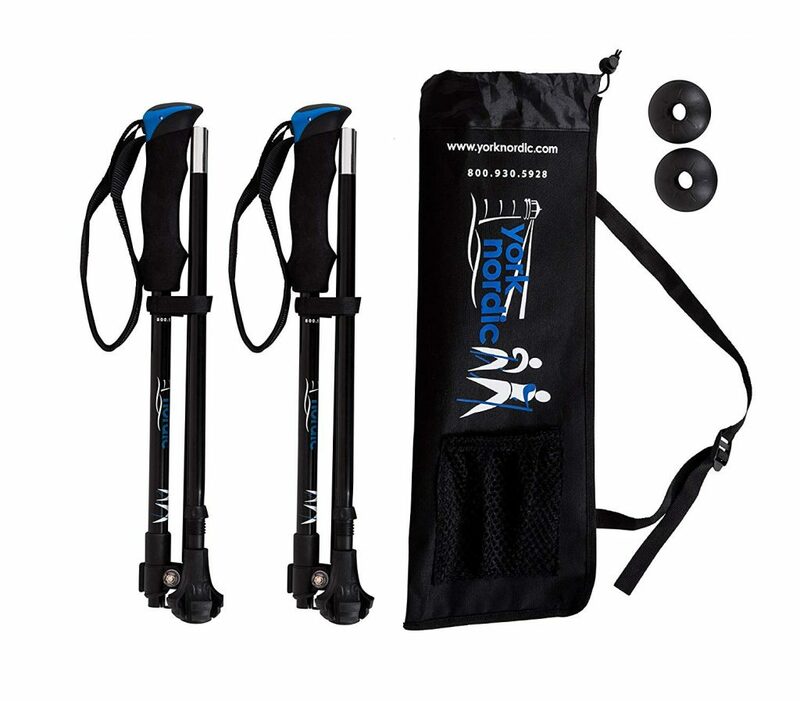 There are multiple pockets, as well as other practical features that you are sure to appreciate. The women featured in The New Old Maid tell their stories with unflinching honesty and wry self-awareness, whether they’re discussing unhappy childhoods, men who didn’t measure up, or the fun and frustrations that come with being independent. 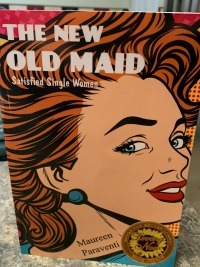 In addition to sharing the stories of real-life women, The New Old Maid takes a look at how depictions of fictional old maids in books, movies, stage plays and TV shows have evolved over time – and explains why such portrayals matter. The New Old Maid speaks to a topic that’s trending and a demographic that’s growing. The percentage of never-married women in the U.S. has been on the rise for decades, with more women identifying as single and eager to discuss what that means, especially in blogs. Maureen Paraventi is a journalist, novelist and award-winning playwright whose works include Palm Tree Pipe Dreams and The Bucket List of Booze Club. She is also an actor and singer who performers with McLaughlin’s Alley, a Detroit pop/rock/Irish band. 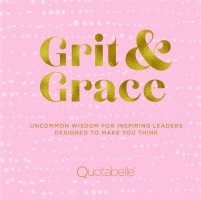 The perfect gift for sisters, daughters, nieces, friends, new graduates, and any other free-thinking young woman in your life, Grit & Grace uses the strengths and successes of today’s women to drive a generation of future leaders to make their talents count. 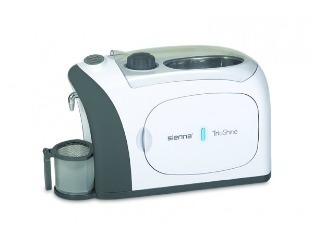 The Sienna Appliances TrioShine 3 in 1 Jewelry Cleaner and Sanitizer is a great way for a woman to keep her jewelry sparkling clean – and germ-free. Unlike other jewelry cleaners that use high-pressure steam and an ultrasonic bath to clean, TrioShine is the only one that also adds ultraviolet light, which kills 99.99% of all germs and bacteria.